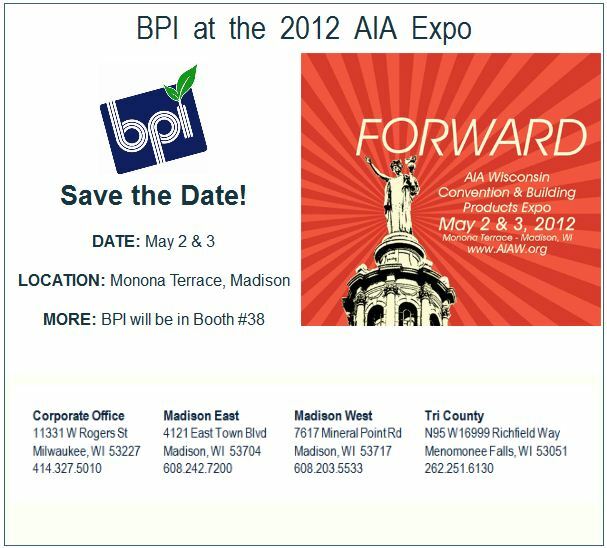 The Annual AIA Wisconsin Convention & Building Products Expo offers members and allied professionals an opportunity to explore emerging design, practice, technology and environmental issues, as well as to investigate innovative products and services available to the design and construction industry. BPI is Wisconsin’s complete source for all large format document needs. We are a family-run company with over 55 years’ experience servicing Architects at both the local and national levels. At BPI, we exceed your expectations to earn your testimonial. As BPI’s Color Production evolves, we have learned a few things from some very experienced clients. Everything is a driven by the client’s needs. In the past months, we’ve been spending a significant amount of time learning the color production world. Specifically, in asking the proper questions so that we can exceed your expectations when we deliver the final product. Recently we produced a 53-piece project with an assortment of pieces that varied in size. The size was specific–down to the 1/1000th of an inch. This was an intricate piece of the project because the pieces we were producing needed to fit in existing frame work. The slightest difference in size would have kept the prints from being perfectly fit into existing hardware. If the fit wasn’t perfect, the client wasn’t able to represent themselves in the highest regard of professionalism. Failure was not an option. Our Color Production team worked long, hard hours to meet the demands of the job within the required schedule. After the proofs were accepted, the real work began. During the production of the project, our team realized that the material that was to be used would not aptly fit the client’s requirement. Rather than produce what we were asked to do, we intervened and pitched our reasoning on using a different material. We were again able to prove that BPI is a partner in these projects vs. simply being a production supplier. We work in your best interests because they are our best interests as well. BPI was also able to prove our professional knowledge of color production requirements. BPI was able to back up our sales pitch with professional results, and results were exactly what we accomplished. The job was completed on time, on budget, and above the standards that were asked of our team. In the end, we’ve earned a long term partner and have the opportunity to share this success with other potential clients so that we can expand on our opportunities in the color production world. The 80th AIA Show has come and gone. Despite the economy, the members once again turned out in their usual supporting fashion. This was BPI’s 21st year in attendance and you can imagine it is quite exciting to mingle with all of our trusted and respected AIA peers all in one place. This year BPI showcased the KIP 7100 and the Canon iPF750MFP units. This state of the art technology has certainly sped up the user’s ability to move with the speed of business we are all trying to keep up with today. 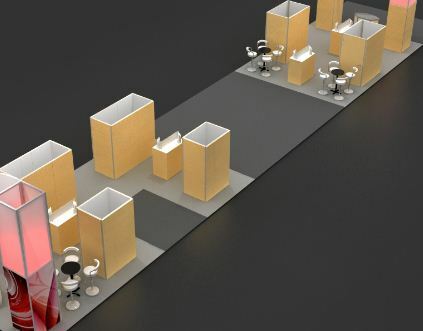 Scanning has become a big part of the design industry and these machines provide a high tech solution to that need. We also showcased canvas wrapped images, both renderings used in a presentation format as well as the personal photo of family and sporting events. All kept the flow of members coming to our booth full of questions leading to healthy discussions. As always we thank everyone in attendance and urge all that who could not make it, we’ll see you next year!